"These educators advocate for the power of games in learning, they have been diligent in the way they use games to mentor and motivate students, they participate in the research that goes into the game-based learning process, and they see its potential to measurably improve outcomes," said Thomas. More and more educators are embracing games to help students achieve, and even surpass, learning objectives. Triseum is recognizing their innovative approach to teaching and commitment to game-based learning (GBL), and today announced its U.S. and international GBL Teacher of the Year winners: Kelly Donahue-Wallace, professor of Art History and chair of the Department of Art Education and Art History at the University of North Texas; and Panagiota Argyri, author, tutor and mathematics teacher at the Model High School Evangeliki of Smirni in Greece. "Both Dr. Donahue-Wallace and Ms. Argyri are early adopters of game-based learning, not because they were told to do so, but rather because they both had a vision to take the learning experience to the next level," said André Thomas, CEO of Triseum and director of the game-based learning LIVE Lab at Texas A&M University. "These educators advocate for the power of games in learning, they have been diligent in the way they use games to mentor and motivate their students, they participate in the research that goes into the game-based learning process, and they see its potential to measurably improve outcomes. We are thrilled to recognize these two outstanding instructors for their GBL ideas and implementations." Dr. Donahue-Wallace teaches Latin American and European early modern art, where she infused Triseum's game, ARTé: Mecenas, into the curriculum as a way to further inspire students to connect with works of art and relate to the time period. She is the author of the award-winning online courses Art and Business, Art Appreciation for Non-Majors, and Art History Survey I. As a published author and expert in art history pedagogy, particularly for distance learning, Dr. Donahue-Wallace conducts workshops on pedagogy and assessment issues at national venues. She has received research fellowships and grants from Spain's Program for Cultural Cooperation, Humanities Texas, the Fulbright Foundation, Indiana University, the Telecommunications Infrastructure Fund, and UNT. "Game-based learning engages my students in the content like no other approach. They move more deeply into the content and interact with it at a level that lecture and even problem-based learning don’t stimulate," said Dr. Donahue-Wallace. "I am surprised by how much they are able to reflect on their learning after playing and designing games. Most importantly, game-based learning is both effective and fun. Score!" An award-winning mathematics teacher in primary and secondary education, Argyri has researched and applied games in her classrooms to inspire students, as well as boost curriculum knowledge and retention. Her commitment to innovation in teaching and learning is exemplified in her work as a tutor for teachers to help them embrace advancements in education and as an author of educational and pedagogical materials and scenarios for STEM lessons. She led her students through Europe's STEM Ahead competition and she has published numerous science papers both in Greece and across Europe. Argyri holds two master’s degrees, including a Master of Education in Teaching and Learning Mathematics. Using Triseum's calculus game, Variant: Limits, she has helped students to not only master complex calculus concepts, but to find excitement and fun in the subject. "Games make it possible to connect the science of mathematics with teaching and learning, not to mention they can have an incredible impact on students' attitudes toward math," said Argyri. "Triseum's Variant: Limits aligns with so many of the theories that I believe impact the learning process and increase mathematical knowledge, including learning by doing, the motivation to study, cultivation of self confidence, and productive and analytical thinking. Math can be complicated, but Triseum has found a way to fuse learning and fun." Triseum grew out of the LIVE Lab in the Department of Visualization in the College of Architecture at Texas A&M University. Education will always remain at the heart of this learning company. Partnering with industry leading experts in gaming and instructional design, Triseum creates entertainment quality, immersive learning games for foundational subjects where high school and higher education students face challenges with engagement, course completion and success. Delivering world-class digital experiences that profoundly impact students while maintaining strict learning efficacy backed by rigorous research, Triseum's bold curiosity means pushing the boundaries of what educational games are all about. 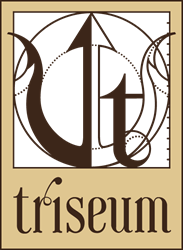 For more information, please visit http://www.triseum.com.